An edited version of this article appeared in February VOICE, distributed through The Age. Each year thousands of asylum-seekers try to settle in Australia. Most are fleeing persecution because of their race, religion or lifestyle. They’re looking for something simple yet sometimes elusive: a fresh start. Ryan Sheales reports on their struggles and triumphs. Randomly stop 10 people in the street and ask for their view on asylum-seeker issues and you’ll probably get about 15 different responses. Some welcoming, some hostile, some confused, some somewhere in the middle. Refugees arriving in Australia often encounter a climate where their legitimacy is bitterly contested. Social researchers – like Melissa Phillips from the University of Melbourne’s School of Social and Political Sciences – see it as a problem across the whole of Australian society. “Despite the Federal Government trying to distinguish between ‘good’ refugees and ‘bad’ asylum-seekers, most people make little distinction between them,” she says. The Australian Parliamentary Library, which produces independent research reports for politicians, has warned there is “a great deal of confusion and misinformation in the public debate” about asylum-seekers. Its 2011 report Asylum-seekers and refugees: what are the facts? also found the terms ‘asylum-seekers’, ‘refugees’, ‘illegals’, ‘queue-jumpers’ and ‘boat people’ are frequently used “interchangeably and/or incorrectly”. The study also dismissed the notion Australia is being “swamped” by would-be refugees. It pointed out that Europe generally processes about 280,000 claims for asylum each year compared with roughly 49,000 claims in the US and 33,000 in Canada. In comparison, less than 7,000 claims were lodged in Australia and New Zealand combined in 2009. Despite this, a “treacherous combination of a lack of understanding, generalisations and misconceptions” still lingers across sections of the Australian community, according to the University’s Martina Boese, who’s currently working on a research project analysing the experiences of migrants and refugees settling in country Victoria. Dr Boese believes refugees are often incorrectly portrayed as damaged, needy or burdensome for their new country. “The focus often seems to be on a refugee’s history with trauma or deprivation, not on their skills, experience and resilience. In comparison, skilled visa entrants are more commonly represented as useful and entrepreneurial,” she says. Even the very term “refugee” – which is as much a legal category as it is a social descriptor – can be a damaging label. Invariably, some politicians and media organisations seem intent on exploiting the ‘refugee stereotype’ for votes or ratings. But there’s little focus on the less tabloid-friendly ‘success stories’. Somalian woman Maimun Mohamed spent the better part of a decade in a UN refugee camp in Kenya, after fleeing the civil war that had gripped her homeland in 1991. When she and her husband arrived in Australia in 1999 they knew nothing of their new country – and no one. 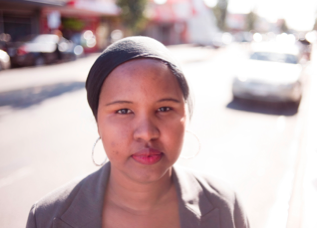 Her experiences in Australia were recorded in 2010 by Researchers for Asylum-seekers, a volunteer group of academics and students affiliated with the University of Melbourne’s Department of Psychological Science. “At first she worked as a receptionist and gradually moved into community work where she developed a niche for assessing the employment needs of disadvantaged communities, including refugees,” her story reads. Ms Mohamed eventually started her own business, the Innovation Recruitment Agency, which works to find appropriate employment for resettled refugees. Or take the example of David, whose journey from Sudan to Melbourne took 19 years: through Ethiopia, back to South Sudan, on to Kenya and finally to Australia. He arrived here safely in 2004, aged 22. “Flying through Sydney to get to Melbourne, David could not believe that such a world existed. Everything felt like a dream,” researchers remarked of his experiences. “The first challenge David encountered was to understand how to connect with people, services and just ‘live’ in Australia. Everything was completely new and each task, even a simple one like cooking or filling the bathtub, had to be learnt from scratch. Like many refugees, David also had to deal with traumatic flashbacks to the horrors he witnessed in Africa. Refugee advocates believe there will be a greater acceptance of refugees when their motives are better understood. Too many people still believe refugees make a voluntary choice to leave their homelands, warns Melissa Phillips who spent time working in the United Nations Office for the Coordination of Humanitarian Affairs (UNOCHA) in South Sudan. “The idea that people voluntarily leave their homes with few means and little documentation is just crazy, and challenges our knowledge of contemporary conflicts and their effects on people,” Dr Boese says. “Going further, it seems hard to comprehend that some people believe refugees leave their homes with a destination in mind. David knows how he’d like Australians, and those seeking asylum here, to approach refugee issues. “People from round the world look and think differently and it is easy to be misguided by stereotypes,” he says. Hear an interview with David or read more of Maimun Mohamed’s story here. Previous Post Etch-a-Sketching out a path to an Australian Republic.